I am out of the kitchen this week, except to do the dishes and clean-up (which for some strange reason I like to do). YaYu has decided the week’s menu and will be cooking dinner for us all this week, with WenYu serving as her sous chef when needed. YaYu (age 16) has chosen some fairly ambitious meals, but I’m confident she can handle it. The hardest obstacle, she believes, will be timing, but she knows how to set up her mise en place, and will have everything ready to go before starting, or at least thought out. Both she and I are very excited about this week for different reasons: she’s been wanting to be in the kitchen for a while now but hasn’t had the time, and I’m looking forward to seeing what she can do as well as having some time off. Tuesday (this evening): Japanese-style curry with tofu, potato, carrots, green beans and onion; served over rice. 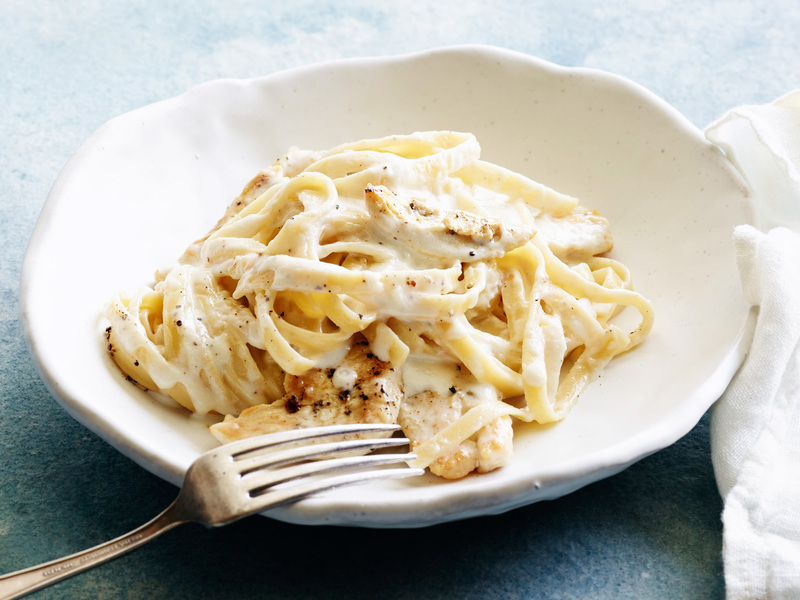 Wednesday: Chicken Alfredo over fettucini; bread; grilled zucchini (dad will be doing the grilling). Just fettucini, bread and zucchini for me. Thursday: Egg drop soup and pork won tons. The girls will hand make the won tons in the afternoon. Not sure yet what I’ll have. Friday: Chicken parmesan; spaghetti; green salad. I’ll have some “chicken-less” nuggets with sauce over spaghetti (no cheese though). Everything sounds delicious – I’ll let you know how it goes! Is it possible to be a good daughter to a mother who’s made it clear over your lifetime that’s she’s just not all that into you? Don’t get me wrong. I love my mom, and she loves me, and she’s been a strong influence in my life. Some of it’s been positive, but there’s been an awful lot of negative in there as well. Mom clearly played favorites with her children, and wasn’t subtle about letting us know who those favorites were. Suffice it to say I was not one of them. The second of four children, I was apparently a cute, bright, cheerful but quiet and undemanding baby, and an intelligent, curious and sociable girl/young woman who loved to read, and did well all through school and in the activities I pursued. Whatever I did never seemed good enough though, and if I wasn’t being ignored I was being compared to others and found wanting. I was adequately fed, clothed and sheltered, but was never hugged or cuddled, there were no words of love, no positive reinforcement, and little to no interest in what I did or wanted to pursue. I was expected to behave and do well, but there was no encouragement, no rewards. Others may have known my parents were proud of me, but I never did. Within the family I was considered flighty, flaky, too talkative, emotional. I had no voice; my parents spoke for me and decisions were made for me. If I stepped out of my role and tried to assert myself, or wanted to do something differently from my parent’s expectations, I was told I was difficult. Nothing has changed much. 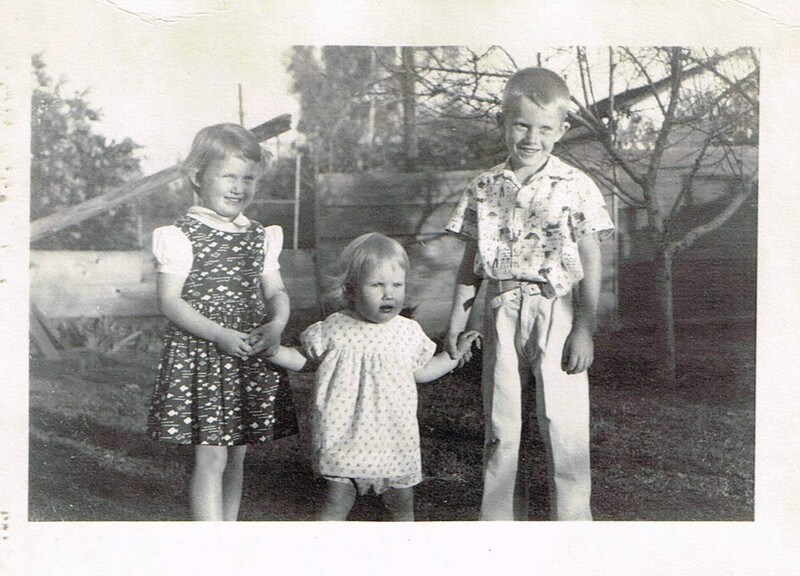 I’m in my 60s and still feel expected to play my role with my siblings. However, because I choose instead to keep my distance these days or not go along with my siblings’ ideas of what I should do and when I should do it, or how I should feel, I’m still considered difficult, or I’m dismissed. 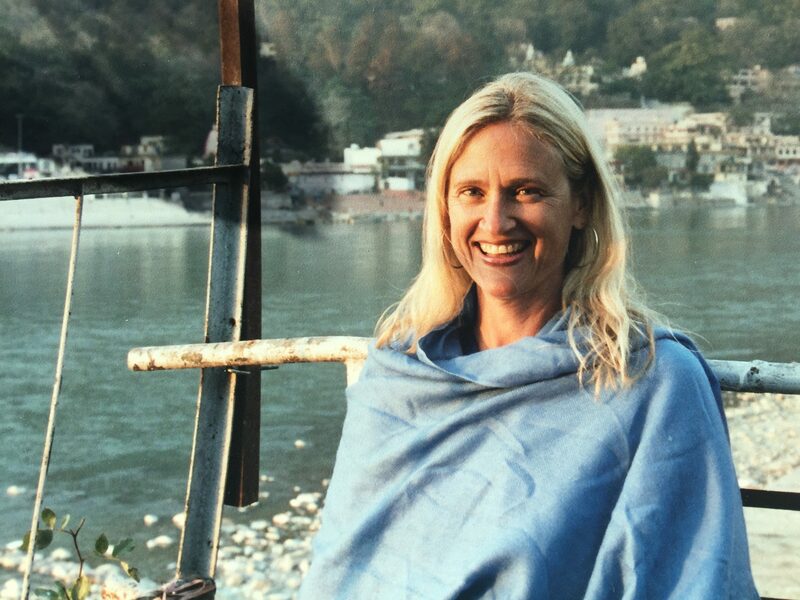 I became deeply depressed as I was growing up, but was blessed (and lucky) to have people in my life along the way who encouraged and valued me. They saved my life. There was my grandmother, who held me and called me her “diamond in the rough,” and who told me over and over that I would go on to do great things. She was there for me many times when my parents didn’t show or step up. Mrs. P, a family friend and licensed psychologist and counselor, knew our family dynamic and warned me (and Brett after we got married) to keep my distance, that it was possible and OK to love my family but still not like them or want to be around them. Their goal, she said, was always going to be to put me in my place, to make me stay in my family role. It was Mrs. P who helped me accept that I was in fact a very strong, smart woman, and not at all the lightweight my family imagined. According to her, that I never turned to drugs or alcohol to blunt my depression was proof of an innate inner strength and resilience that my family refused to recognize and couldn’t destroy. There were other women as well along the way – neighbors, my friends’ mothers, teachers, my sister-in-law – who comforted me, supported me, held me up, told me I was beautiful and smart, and stepped in when Mom should have but didn’t. My mother is 92 years old, and she is dying. I feel relieved that she will not have a long, lingering end-of-life experience (i.e. stroke, bedridden, and such) which is what I feared the most for her, but I also know it’s not going to be an easy death either. I have already made plans to visit her this summer, and will be her strong daughter. I’m the child who has worked with the elderly, who has nursed them and cleaned them, the one who has sat in the middle of the night with the dying so they were not alone, the child who will be there just to be there for mom, with no expectations. I have no illusions about what’s coming, but hope for her to pass as peacefully as possible. It’s time to put away the past for awhile. I already feel a great sadness, not for how things were and for what will be gone, but for what could have been and never will be. She is my mother, for better or worse, and I will always love her, and I will miss her. 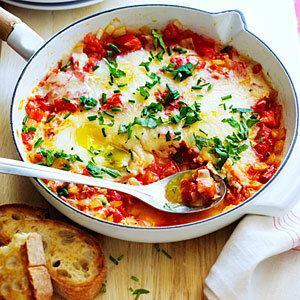 This Week’s Menu: Too Many Leftovers! Leftover food never used to be a problem at our house. Leftovers were Meiling’s favorite breakfast, and Brett always took leftovers to work for his lunch if there were any, which was actually quite rare. That’s been changing though, especially the past few months. Even though WenYu and YaYu have healthy appetites, and took leftovers to school in their lunch two to three days a week, with my not eating meat or dairy anymore we have been ending up with a LOT of leftovers. Neither Brett nor I are eating as much as we used to, and Meiling isn’t here to help make sure everything gets finished. Brett and I usually eat leftovers every day for lunch, and the girls sometimes eat them for a snack, but we still seem to end up with a refrigerator full toward the end of the week. I had to cancel one evening’s planned meal last week because there were just too many things that needed to get finished up. This week I’m adding a “Leftovers Night” to the menu. If it turns out we don’t need it, I can tuck in an extra meal. But, we’re starting this menu week with plenty of both leftover Japanese pork & ramen soup and yakisoba from last week, and I’m pretty sure more leftovers will be added as the week continues. With just three of us here next year, I’m thinking I’m going to have to seriously change how I cook or we will be swamped. It will be a challenge, but I one I gladly accept! Tuesday (tonight): Thai red curry chicken; steamed rice; sweet & sour cole slaw (tofu in curry sauce for me). We’ll see how it goes! What’s on your menu this week? Someone once joked that he actually enjoyed eating airline food because up in the air the calories didn’t count. Wouldn’t that be nice if it were true? High on my list of favorite things about travel is eating. 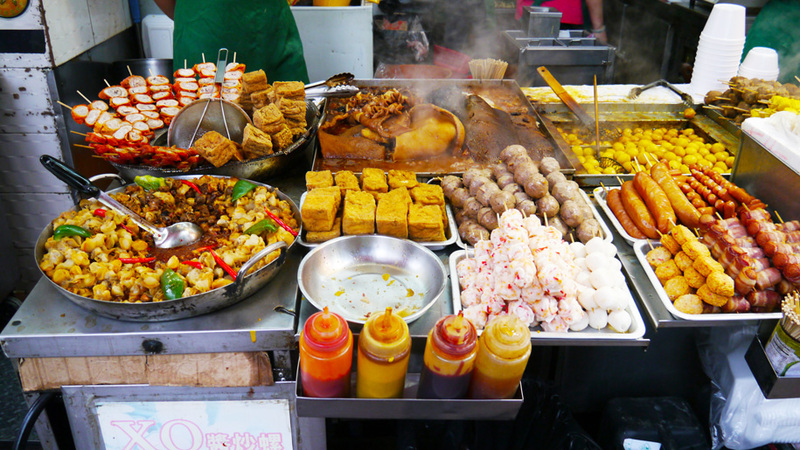 I enjoy getting a break from meal planning, cooking, and cleaning up, but I also love finding great new places to eat, and getting to try out a region’s cuisine including sampling the street fare whenever I can. It’s very easy for me to overeat when I travel, and as I’ve gotten older I’ve had to develop strategies so that I come home at least weighing the same as I did before I left, if not less. These days I eat what I want when I’m on the road, but I eat less and budget my calories. I’m careful about what I choose to eat, and make sure I get plenty of exercise. I don’t travel somewhere else to eat fast foods or things I can find here at home, so avoid those places (the exception is to get a Teriyaki McBurger and maybe a yogurt shake at McDonald’s in Japan). I want to eat what I can’t get here! Breakfast! It’s always hard to choose from all the beautiful offerings. My favorite travel breakfast these days is a pastry (muffin, roll, toast or such) and coffee. 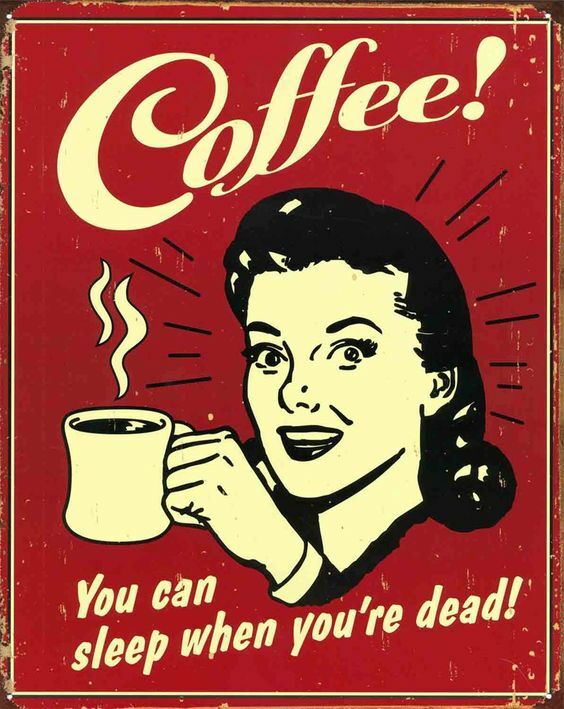 Sometimes I’ll upgrade to a latte, but I usually try to save those for an afternoon break, and not every day. I’ll always have fresh fruit too if it’s available. 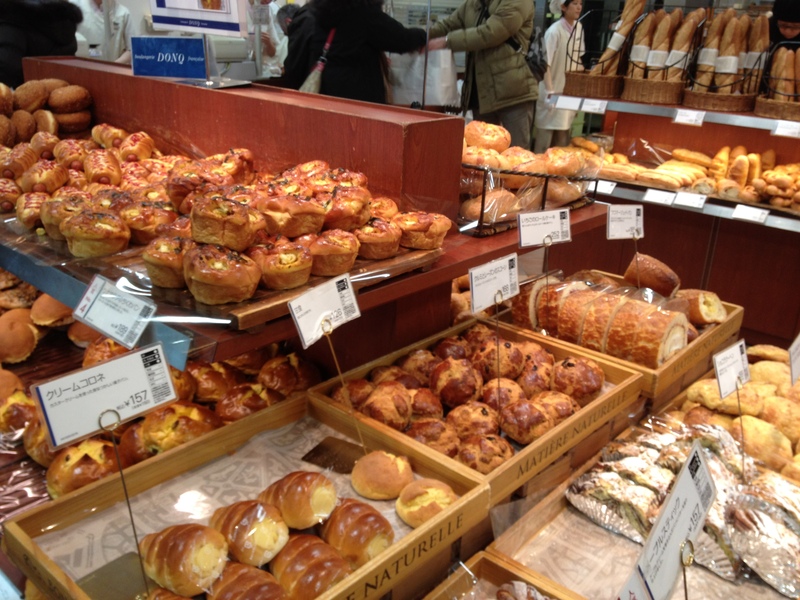 Japan has the most incredible bakeries – they give Paris a run for its money – and it’s easy and affordable to stop off and pick up something for breakfast, or to put aside for the next day. I also adore Eggs Benedict in any form, but they are a special treat these days, and only if I can share the order with someone else. When I’m on the road I try to make lunch my biggest meal of the day. Not only does lunch typically cost less than dinner (sometimes there can be several dollars difference for the same menu item depending on whether it’s being served for lunch or dinner), but eating more at lunch still gives me time to burn some of the calories I consume. My preferred dinner is typically something light, like a sandwich, or in Japan, sushi or a bowl of noodles. I stick with water for my beverage most of the time, although I do like a cocktail or some wine once in a while. The calories from those though can add up fast. 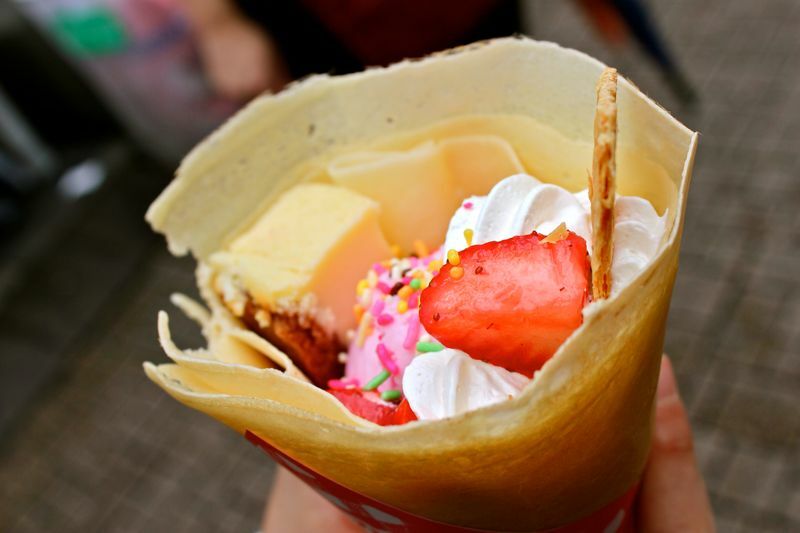 Crepes are my favorite sweet treat in Japan these days. So many delicious varieties! As I’ve written before, I am not big on sweets, but it’s easy for me to be swayed when I’m traveling. Sometimes I can snag a bite from Brett or the girls, but usually I just have a cup of coffee. Starbucks are ubiquitous in Japan, and they have different Frappuchino specialty flavors than the U.S., things like matcha brownie or sakura, delicious Japanese cherry flavor. One of the hidden blessings of eating in Japan though is that portion sizes are usually smaller than what we get here in the States, so I can order my own dessert or sweet snack and not overindulge. Their sweets are also much less “sweet” than what we eat here in the U.S. and don’t contain as much sugar. Getting enough exercise is critical, and most places we’ve visited have thankfully required a LOT of walking. We hiked all over the Grand Canyon and Sedona when we were there recently, and I usually always lose weight when I visit Japan because I have to walk so much, whether it’s down to the corner to catch a cab, or to a bus stop or train station. There are always lots and lots of stairs to climb up and down there as well (people don’t often just stand on escalators but climb up and down them as they move). When you get off the train or bus somewhere, or out of a cab, there’s always more walking to do, as there is when you visit any historical site. The same was true on visits to Hong Kong, Beijing and other cities in China. While I love the serendipity of discovering a good restaurant or snack bar or such, these days it’s easy and fun to research restaurants before you depart. Sites like TripAdvisor, Yelp, and others rate restaurants and offer reviews, and you can often read menus as well. 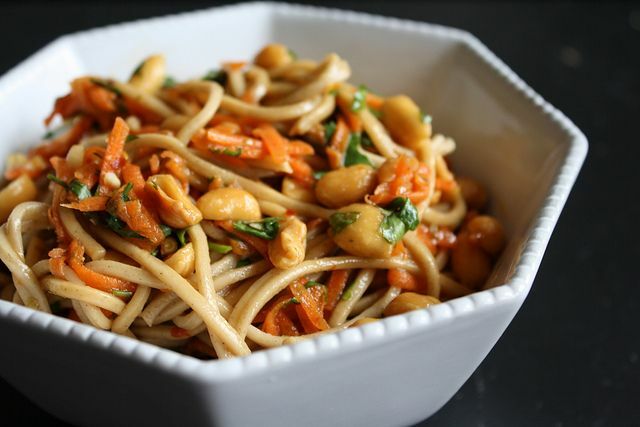 These are especially helpful if you are on a special diet or are vegetarian or vegan. I usually head off with a list of restaurants and/or dishes I’d like to try. I also ask locals for their favorite places to eat while we’re visiting and have gotten fantastic tips about places I wouldn’t have known about or tried otherwise. Whatever I eat when I’m traveling, whether I’m up in the air or down on the ground, those calories do count. I treat them like money in a checking account, spending them carefully, and replenishing my account whenever I can with exercise. Splurges are allowed and encouraged if they’re done judiciously. WenYu’s graduation ceremony was fabulous. As parents of one of the class valedictorians, Brett and I had reserved seats in front (a surprise! ), and were called to the stage with the other parents to present WenYu with a special medal. As you can see from the photo there were lots and lots of flowers given after the ceremony – WenYu’s were actually a bit subdued compared to some. At the back of the field where graduation was held, one Tongan family had set up a ceremonial area for their daughter. Blankets were laid out, including some exquisitely embroidered ones, for her to stand on, there were banners hung with her photo, and the area was surrounded by stacks of tapa cloths and huge, handmade ceremonial lei. 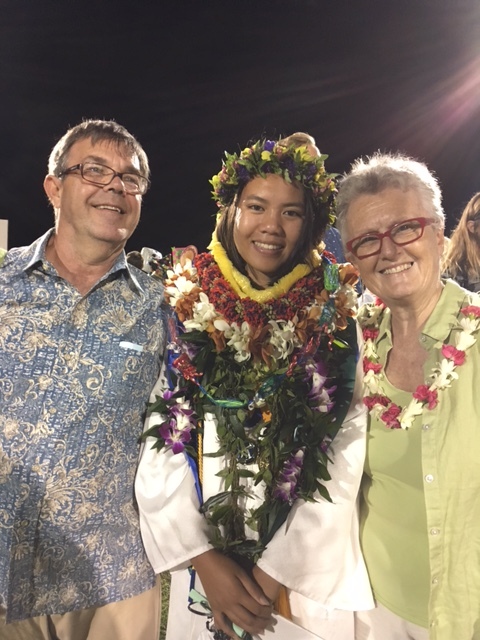 Her entire family was lined up to give her lei and have their picture taken with her – she had so many lei around her neck that just her eyes were peeping over the top! Each family member also had a head wreath for her, but those were taken off after each photo was taken so the next one could be put on. This girl received no special recognition at the ceremony, but to her family she was royalty. I felt very privileged and moved to be able to watch for just a few moments. Brett and I splurged this past week and bought ourselves the stainless steel kitchen island we’ve had our eye on for the past few months. It’s only the third furnishing we’ve bought since we arrived here nearly two years ago (the other two things were a nightstand and desk for the girls’ room), but we were wanting some extra work and storage space in the kitchen. 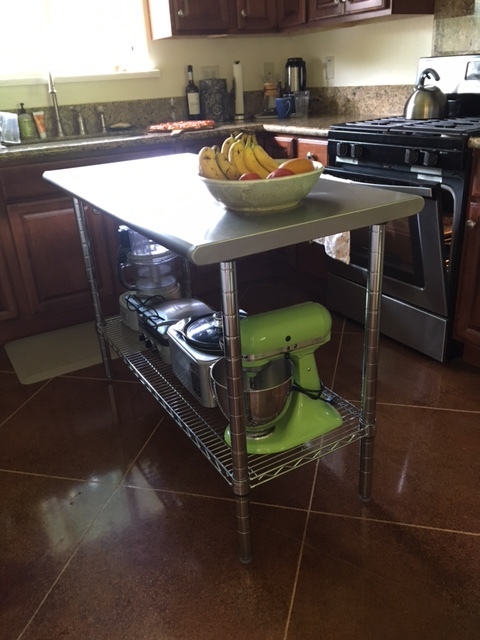 We took a chance with the size, but it fits perfectly in the kitchen and everything around it opens without a problem. My mom fell this past week, and although nothing was broken, x-rays showed she has advanced lung cancer (she never smoked). Because of her age, the stage of her dementia, and how physically frail she is, as well as the size of the cancer, her doctor’s recommendation is for no treatment, and she will enter hospice care before the end of the month. She is still currently mobile and active, but her appetite has decreased and her dementia has grown much worse in the last month. I spoke with her this past week, and although she recognized my name she no longer knew who I was or about anyone in my family. I am still processing it all, and for now sticking with my plans to visit in August (the doctors could not give any sort of time line), but depending on how things go that could change. Reading: I finished Holy Cow (and still want to visit India), and have started Marie Kondo’s second book, Spark Joy. I thoroughly enjoyed her first book, The Life-Changing Magic of Tidying Up, and although don’t feel like I need to get rid of anything more, I have heard good things about Spark Joy and am looking forward to reading more of her insights. Listening to: The usual Sunday sounds: birds singing, trees blowing in the breeze, kids playing outside, and lots of lawnmowers going. The washing machine is doing its thing here in the house, but otherwise everyone is reading or doing something quiet. Watching: Brett and I have started watching The Mysteries of Laura on Netflix and are hooked. We both like Land Girls too, and tonight I’ve got my weekly appointment with PBS! Cooking/baking: We didn’t do anything special for breakfast this morning, and Japanese pork & ramen soup for our dinner is in the slow cooker right now. I feel like I should bake something for Brett and the girls, but don’t know what that would be, and it’s too warm right now anyway for turning on the oven. Happy I accomplished this past week: Brett and I got our big monthly Costco shop done, and stayed under budget again this month with our food shopping. Looking forward to next week: YaYu finishes her school year on Thursday and then we are all on break!! We’re hoping to get to the beach again but it will depend on the weather. 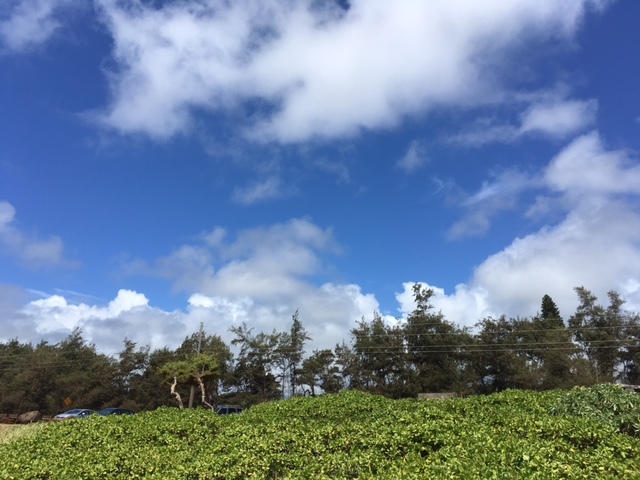 Thinking of good things that happened: Besides WenYu’s graduation and getting our kitchen island, I heard from a former ESL student in Japan that she and her family will be visiting Hawai’i in August, and have planned a day trip over to Kaua’i to see us. Our guava tree is producing again and the few we picked make whole house smell wonderful. We also put $16.09 in our change/$1 bill jar this past week. Grateful for: The memory care facility where my mother lives will manage her hospice care, so Mom will not have to be moved again and will have familiar faces around her when family can’t be there. Medicare will cover 100% of her hospice care, not only the medical aspects but social services as well. Bonus question: Do you have any special graduation memories? At my high school graduation, we were surreptitiously handed a metal “cricket” as we headed into our processional. The principal and other speakers were very puzzled by the sound of hundreds of crickets chirping throughout the ceremony. Our son’s college graduation was held outside in May in Indiana. It was a beautiful, sunny day when the ceremony began, but as things moved along dark clouds began to gather in the sky overhead. Just as our son crossed the stage to receive his diploma the heavens opened and in seconds everyone – graduates, professors in full regalia, the band, and guests in the audience – were completed soaked to the bone (they had to issue our son a new diploma because his was ruined). We ran for cover and eventually met up with our son. Brett, I, Meiling and WenYu, who were just four and two years-old, looked like drowned rats, but our future daughter-in-law didn’t have a hair out of place – we still marvel at how she managed to look so perfectly pulled together because she had gotten just as wet as the rest of us (she still always looks effortlessly pulled together). That’s a wrap for this week at Casa Aloha! How was your week? How is your Sunday afternoon going? I’m not all that into sweets, but once in a while I do like a treat. However, it’s become almost impossible to find desserts these days that do not contain dairy. Almost everything, it seems, lists milk or butter as one of the ingredients. Mug cakes to the rescue! 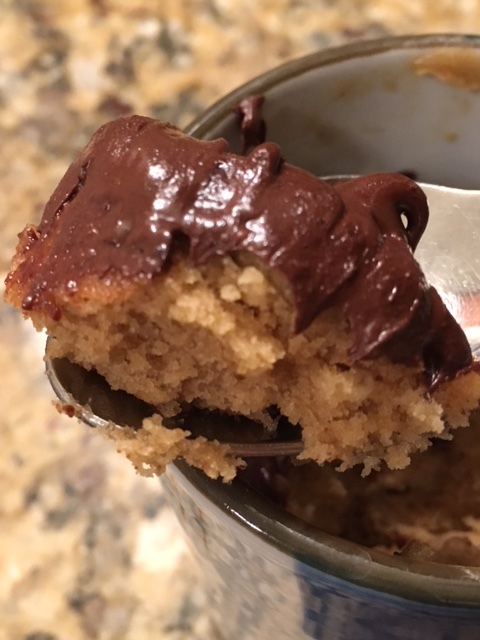 Tasty bite of peanut butter cake with melted chocolate – yum! I have become totally hooked on these tasty little desserts and have them now a couple of times a week. 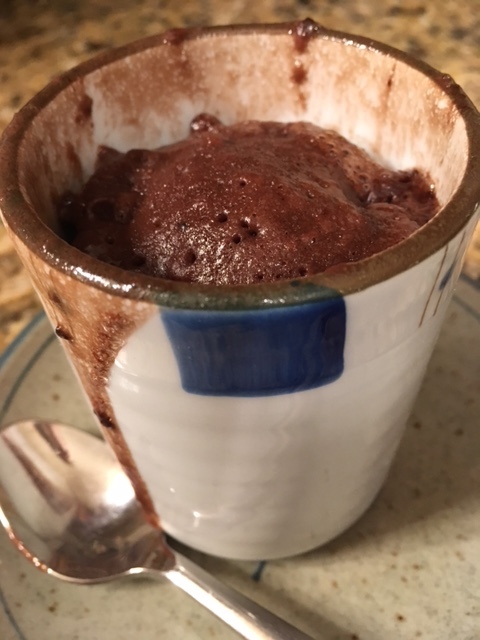 A mug cake can be whipped up quickly and easily – the batter can be mixed together in less than two minutes, and microwave “baked” in another minute. There’s very little mess as well because the cake is mixed right in the mug or cup (I use a Japanese teacup I picked up at a 100¥ store), so there are no messy mixing bowls or utensils other than a spoon. There’s an endless variety of cakes that can be made. They can be made from a blend of boxed cake mixes* if you use those, or as I prefer, from scratch, usually from items that you have on hand in your pantry. The only secret to mixing a mug cake is to blend your dry ingredients first, then add the wet, making sure that all the dry gets incorporated into the batter (it can get stuck down at the bottom edge of the mug or cup). Also, the cakes are quite hot when they come out of the microwave – they need to cool for a few minutes before eating. Chocolate chips are waiting inside! 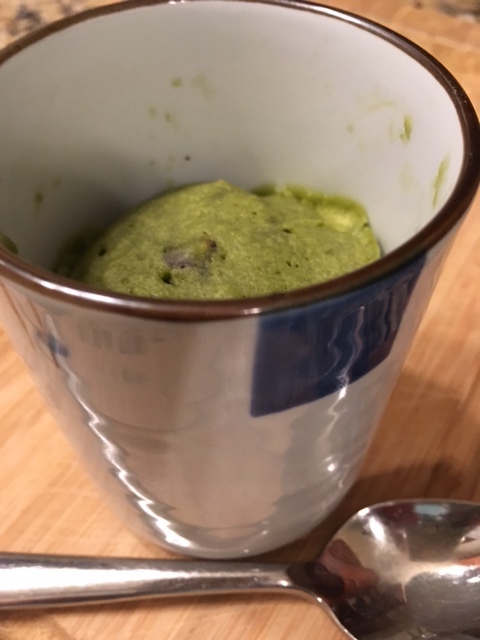 The first mug cake I tried out was a matcha (powdered green tea) mug cake. 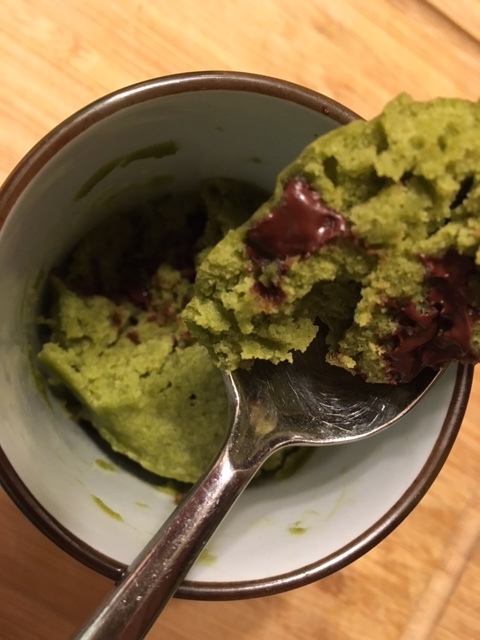 I ♥♥♥ all things matcha, so when I saw this recipe for a matcha mug cake I had to try it. Sometimes I add a tablespoon of chocolate chips to the batter (Kirkland brand chips from Costco are vegan), but it’s just as good without them. I use vanilla soy milk to keep the recipe vegan. I love the bright green color and the matcha flavor is perfect (This is the matcha I use. It’s expensive, but because you don’t need much, a package lasts a l-o-n-g time). Before I stopped eating dairy, I would sometimes add a little ice cream to the top, or some whipped cream, which helped to make my delicious little cake even more delicious. The chocolate cake is a bit larger and sometimes comes up over the top when it bakes. The chocolate cake also creates its own lovely sauce if you bake it a few minutes less than directions call for. 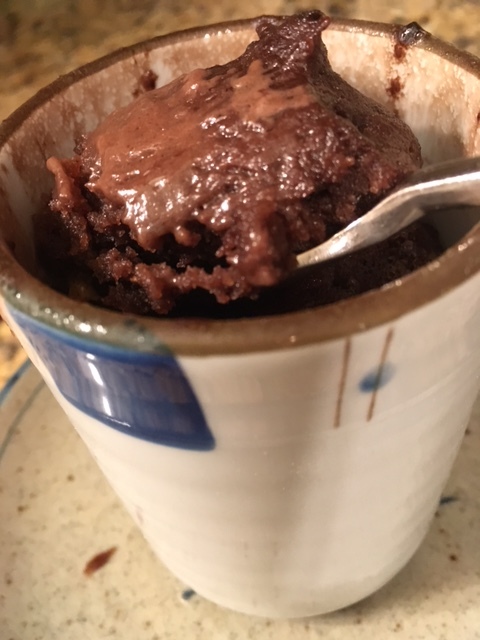 Recently I decided to branch out, and have added a peanut butter mug cake topped with chocolate to my repertoire as well as “the moistest chocolate mug cake.” Both are easy, delicious, and when made with soy milk, they’re both vegan. With the peanut butter cake, a tablespoon of chocolate chips goes on top when the cake comes out of the microwave – they melt as it cools to make a rich chocolate topping. The chocolate cake recipe calls for a tablespoon of Nutella to be added to the top before baking, but I’ve used peanut butter instead and it’s turned out fantastic. I’ve also read that you can stuff a Lindor truffle down inside the batter before baking for more of a molten lava effect. 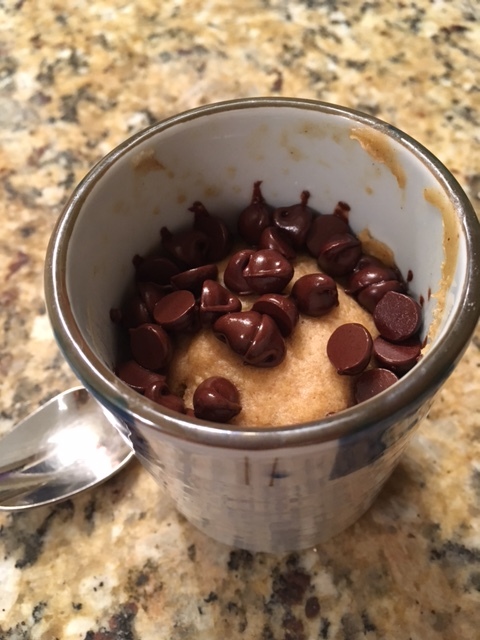 There are loads of websites with recipes for mug cakes, and they can be found on Pinterest and other recipes sites as well. Kirbie’s Cravings has pages of mug cake varieties. 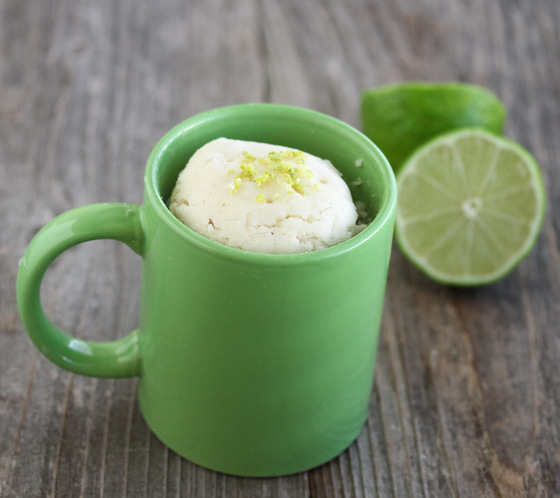 I’m looking forward to giving this lime-coconut cake a try – it sounds delicious! I’m also anxious to try this “moistest very vanilla mug cake,” although I’m going to have to get myself some vanilla bean paste. Mug cakes are an easy and tasty way to indulge yourself. They’re not low calorie or low fat, but they are definitely portioned controlled – one little cake is very satisfying. 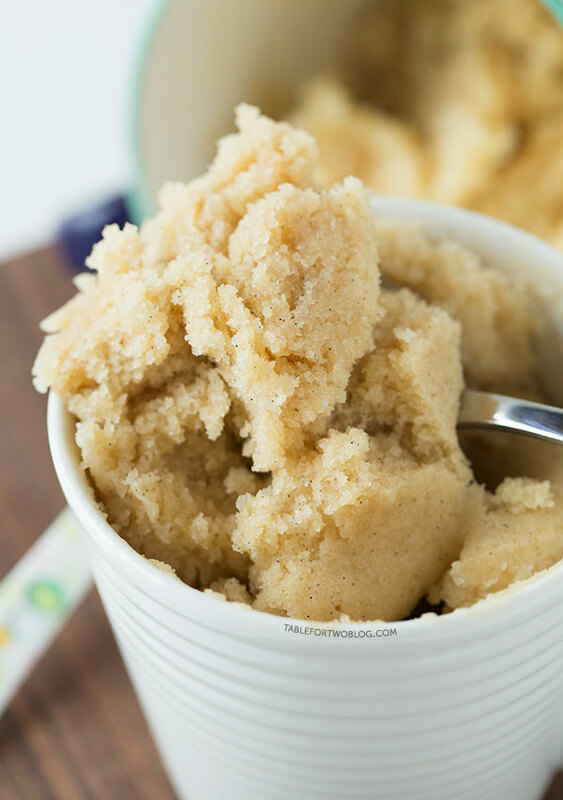 *To make a mug cake mix from cake mixes, blend together a box of angel food cake mix with any other flavor of regular cake mix; store in an airtight container or Ziplock bag. To make a cake, use the 3-2-1 method: 3 TBSP mix blended with 2 TBSP water in a mug, then microwaved on high for 1 minute. We live just three minutes away from the beach. That’s right – three minutes, not even three miles. You would think that living so close we would be at the beach all. the. time. I wish. I LOVE going to the beach. Our family had a beach house in Southern California (San Clemente) when I was growing up and we spent our summers and many weekends there. I gave up on going to the beach while Brett was in the navy, and while we lived in Oregon (other than for walks), but I fell right back in love when we arrived on Kaua’i. When Brett and I went down to the beach on Monday, it was the first time we had been since March 27! 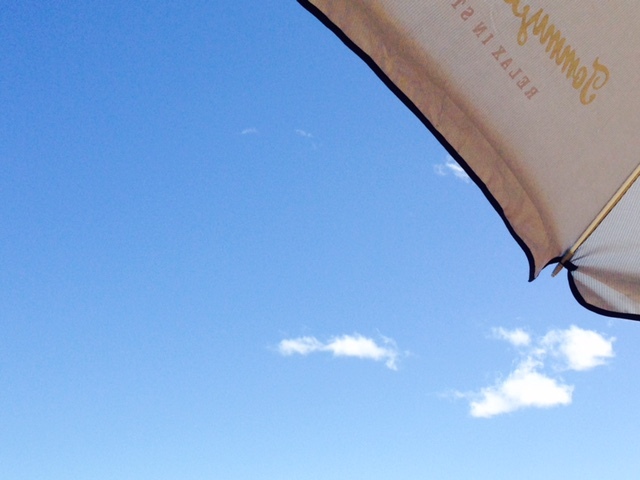 It was a perfect beach day though with blue skies and a lovely breeze. We set up our umbrella and chairs, covered ourselves with SPF 70 lotion, and settled in for a couple of hours. 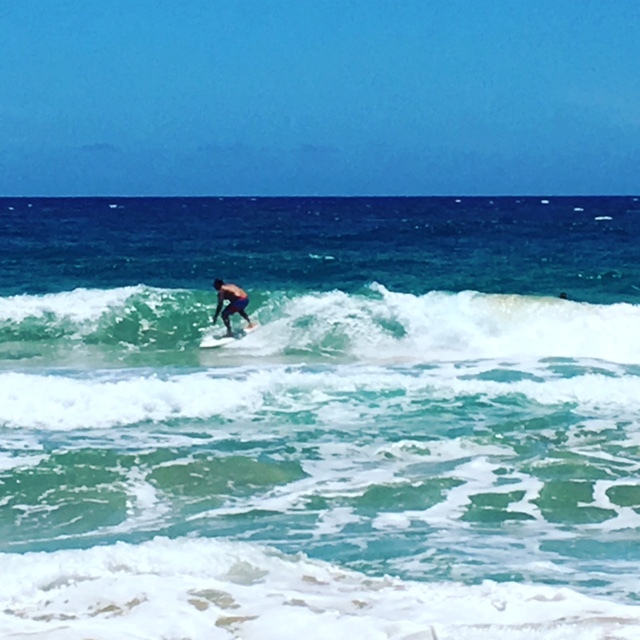 The surf was up, and some older guys were out in it, loads more fun to watch than the usual younger surfers we see. These guys were fearless, and their technical skills were nothing short of amazing. Driving ourselves to the beach is easy. Getting our schedules and the weather to cooperate and coordinate so we can actually go is not so easy though. Between the girls’ schedules, family appointments, and other errands that need to be run, there often isn’t a whole lot of time left to fit in a beach visit. I wish it were as easy as just running down and setting up a chair in the sand, but I need to be under an umbrella because of my fair skin, so hauling our stuff down, getting set up, and getting our skin protection on is time consuming, and frankly not worth it if we can’t stay for more than 90 minutes. We’re like most Hawai’i residents these days though – people who live here have a lot less time for the beach than people imagine. The majority of people you see at almost any beach here are tourists. Plus, when our schedules give us enough time for the beach, it can still be overcast, too windy or too cool (yes it does get too cool here) for a beach visit. I can’t begin to tell you how many days we’ve said that we’re glad we live here and not paying for a vacation because a whole week or more can go by where you wouldn’t want to or can’t be down on the beach. With summer vacation coming up, Brett and I are looking forward to heading down to Kealia more frequently. 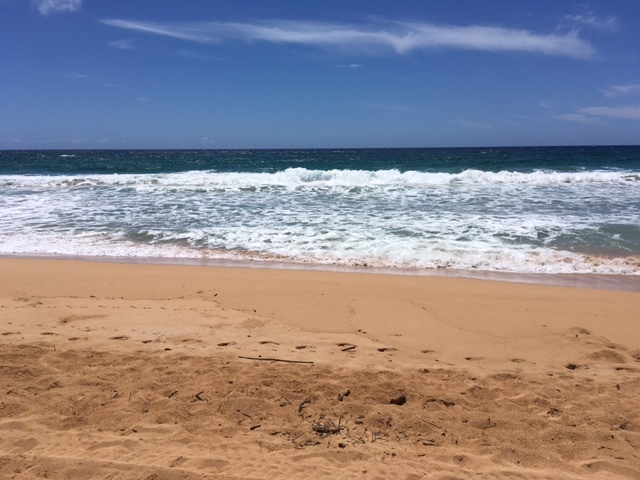 We’ll also have the time to visit some other beaches around the island that we enjoy but that require more of a drive (Anini, Lydgate, Salt Pond, Poipu). WenYu loves to go and soak up the sun and will go with her friends or join us some of the time, but YaYu is not a beach person (neither is Meiling) – she almost always prefers to stay home to read or watch TV on her own whenever the rest of us want some beach time. Well, at least over half last week’s planned meals got fixed! That counts for something, doesn’t it? I didn’t know when I made up the menu last week that dinner would be served for us on Thursday night at the NHS meeting, nor that they would give us an immense container of rice that would need to be used up, nor that Friday evening was a potluck for the girls. So, I ended up with three meals leftover that will be tacked onto this week. We also didn’t make it to the farmers’ market on Wednesday because WenYu had a presentation that afternoon that ran way over. We went to the smaller Friday market down in Lihue to see what we could find, but they didn’t have much so we didn’t buy much. On a positive note, we did save some money by not having to fix three meals ourselves; by scoring the leftover rice; and by missing the farmers’ market. And, we still did a fairly impressive job of cleaning out the fridge and freezer in preparation for this week’s shopping forays. Today Brett and I are doing our Costco “big shop” for the month, and tomorrow we’ll hit up the farmers’ market and replenish our fresh produce stocks. Tuesday (tonight): Slow cooker pork carnitas; tortillas, rice & beans; tomato & cucumber salad (tortilla with rice & beans for me). Friday: YOYO – it’s graduation (yeah!) and we all have to be at the location early. Sunday: Slow cooker Japanese pork & ramen soup (peanut-sesame noodles for me) – recipe is from The Frugal Girl. I’m ready to try this whole menu thing again this week – we’ll see how it goes!